A stroke occurs when brain cells die due to a lack of oxygen. This lack of oxygen is caused either by a lack of blood flow to the brain cells (ischemic stroke) or bleeding in or around the brain (hemorrhagic stroke). Since the brain cells need oxygen-rich blood from the lungs to get oxygen, they will soon start to die when they don’t get enough. As the brain cells die, the person experiences symptoms from the impacted section or sections of the brain. The exact symptoms of a stroke will depend on its severity and on what or which sections of the brain that are impacted. The symptoms appear very suddenly. Sudden weakness or numbness on one side of the body, e.g, one arm or one leg. Sometimes only one side of the face display symptoms, while the other side is perfectly normal. Sudden dizziness, loss of balance, loss of coordination, and/or trouble walking. Sudden problems seeing (one or both eyes). Sudden confusion, trouble understanding speech and/or difficulty speaking. The treatment after a stroke can be divided into two parts: emergency treatment immediately after the stroke and post-stroke rehabilitation once the person has survived the stroke. After a stroke, there is an increased risk of another stroke, so diagnosing and treating underlying health conditions and addressing lifestyle factors is also of imperative importance. The exact nature of the emergency treatment after a stroke will depend on the type of stroke. When the stroke is caused by a blood clot, medicine is given to rapidly dissolve the clot. In the case of a hemorrhagic stroke, the bleeding must be stopped and any excess pressure on the brain relieved. A stroke can be fatal, and stroke is the 5th most common cause of death in the United Sates. Of those who survive, two out of three will have some type of long-term disability as a result of the stroke. This disability can for instance be speech problems, hemiplegia, hemiparesis, and/or memory problems. In the United States, stroke is the leading cause of adult disability. After a stroke, it is not unusual to experience problems with thinking, attention, awareness, judgment, learning, memory, emotion control, forming speech and understanding speech. Some survivors experience numbness, pain or strange sensations. Pain is especially common in the hands and feet, and there can be a big sensitivity to temperature changes and cold. Hemiplegia is the complete paralysis of one side of the body. Hemiplegia can be caused by a stroke. Hemiparesis, or unilateral paresis, is weakness of one entire side of the body. It is less severe than hemiplegia. Hemiparesis can be caused by a stroke. Data from 2011 show that stroke was the second most common cause of death worldwide. Of all people who died, over 10% died from a stroke. Anyone can suffer a stroke but the risk is higher in people with high pressure (stress) careers. Stock brokers, CFD traders, day traders and hedge fund managers are all example of professions that increase the risk of suffering a stroke. Read more about other life style factors that increase the risk of a stroke. Between 1990 and 2010, the number of strokes decreased by approximately 10% in the developed world. During the same time period, the number of strokes in the developing world increased by 10%. A stroke can occur at any age, but is more common in the elderly. Globally, 95% of all strokes occur in people aged 45 and older, and about two out of three strokes occur in persons aged over 65. The risk of experiencing a stroke increases exponentially from 30 years of age. Men are 25% more likely to experience a stroke than women. Still, 60% of all stroke deaths occurs in women. This is largely because women live longer and stroke deaths are more common in the elderly. 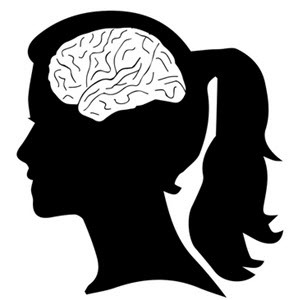 There are also certain risk factors for stroke that pertain to women only: pregnancy, childbirth, menopause, and hormone replacement therapy for issues connected to menopause.